From the hit anime mega series, One Piece, Crocodile moves for the final blow! 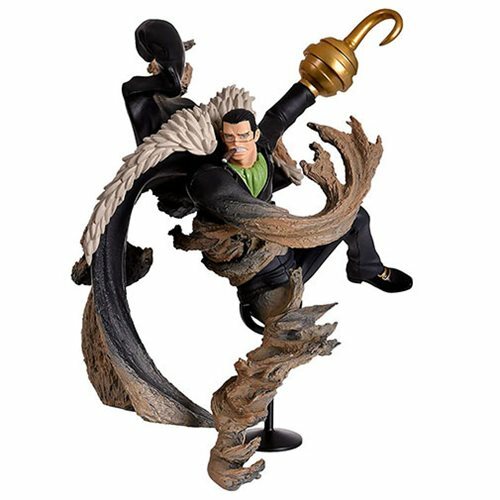 Having consumed the Suna Suna no Mi Devil fruit, our ferocious fighter's ability to control sand is perfectly captured in this figure collection. Abiliators stands about 5 1/2-inches tall, and features Crocodile in action! Minor assembly required.